Shakespeare wrote not only for the theatre, but for different theatres. 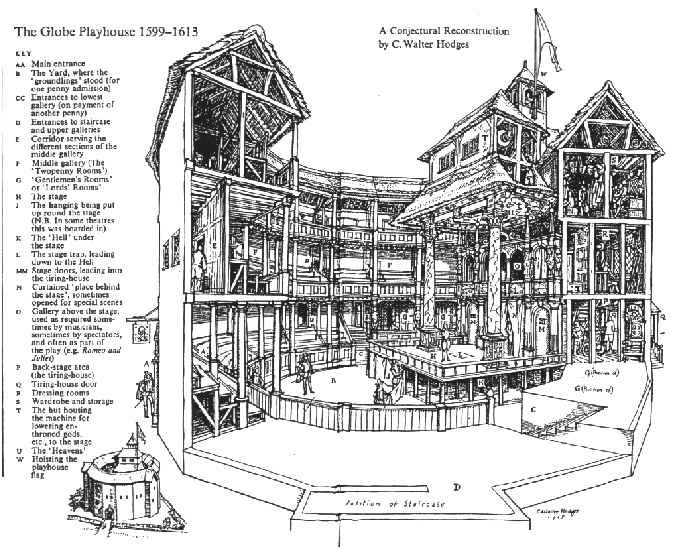 In 1609, the King's Men began playing at the Blackfriars—indoors and upscale—in the winter months, and Shakespeare's latest plays are written for that space. There is division into acts, with intervals between them for replacement of the candles. There are directions for "solemn," "strange," or "still" music (the wooden O was suited to the drum and trumpet). There was masquing and spectacle. And the fights were offstage: one could hardly risk spitting an aristocrat who'd paid good silver for a place on the stage. This was a sea-change in theatrical history. Dead Oxford had no part in it.